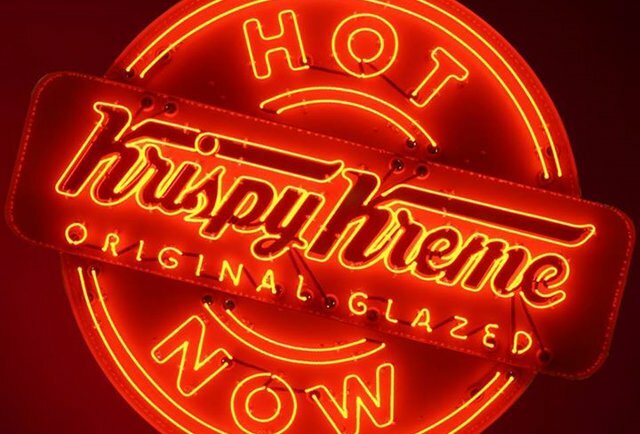 How many customers show up at Krispy Kreme when the “Hot Now” light is on, compared to when it’s off? I’m guessing the difference is…gastronomical. Come to think of it, the only time I show up at a Krispy Kreme is when that light is on, because it’s an entirely different eating experience. I mean, you put a day-old doughnut in front of me, chances are I’m gonna eat it. But when those things are hot? Fresh off the conveyor belt? The kind of thing I might be willing to hop in my car and go buy a box of. So here’s what I’ve been thinking. Maybe we should get one of those “HOT NOW” signs for the church! 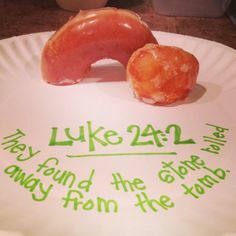 Instead of “Krispy Kreme” in the center, it would say “CHURCH”. And we’d light it up every Sunday morning so the whole community would know something truly special was happening here. Can you imagine the results? Folks would fill up the parking lot to get their hands on what we’re offering. When people saw that sign, they’d make it a priority because they’d know we were offering our very best. We’d have to truly be offering our very best. I mean, can you picture people showing up at Krispy Kreme expecting 30-second old donuts and instead getting something stale and old? If we lit up that “HOT NOW” sign for all people to see, then the experience of church had better be something extra special. Something that would have people coming back for more. So what does that mean we’d have to offer? What’s our equivalent of a hot and fresh doughnut? A great sermon? A stirring anthem? Well, they’d have to be pretty good. But there’s more. A “HOT NOW” Sunday morning includes amazing hospitality, excellent learning opportunities for all ages, and a real and powerful invitation to receive the love of Christ. And there would be great excitement, and passion and vulnerability and faith bursting at the seams of the building and back out onto the streets. And there would be a sense of community and support far more nourishing than any doughnut could ever be. That’s a lot to pull together on a Sunday morning! That makes doughnut frying look like child’s play. Still, it’s what we’re called to do. Some Sundays we do better than others. How often would we turn it on? Thanks Mitch! Love the picture at the end too!